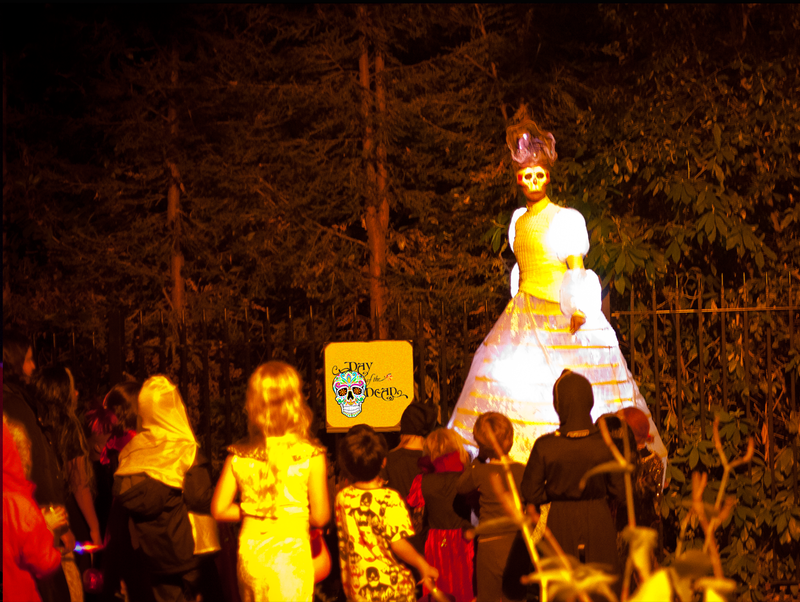 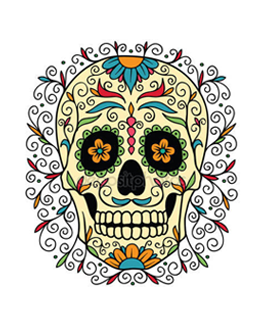 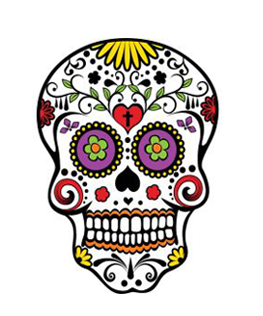 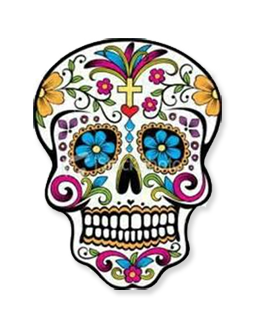 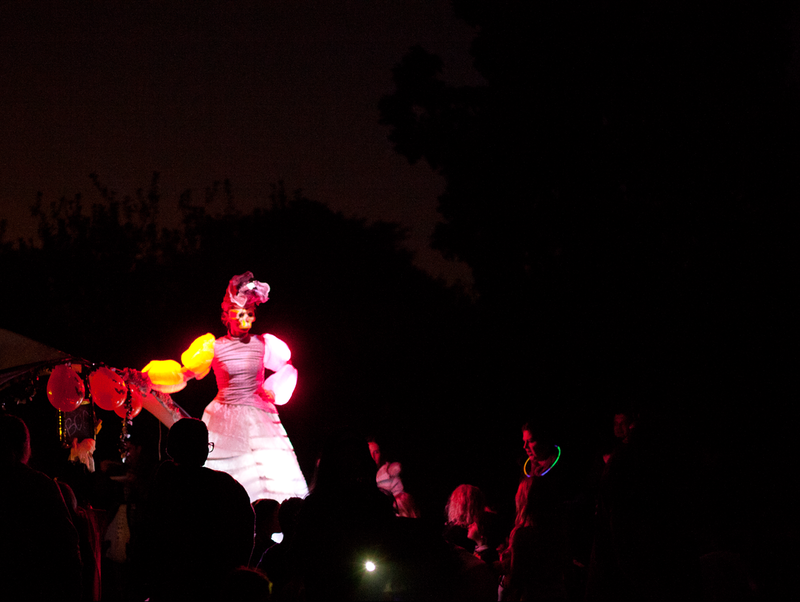 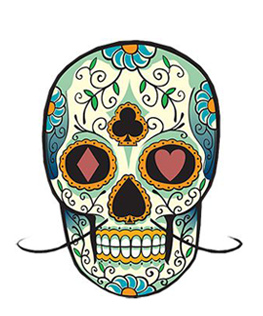 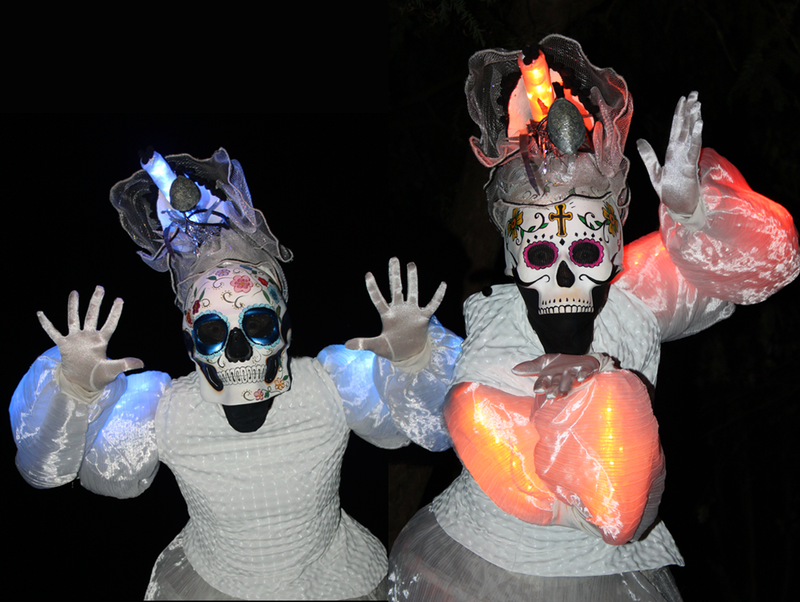 Halloween, All Hallows eve, Day of the Dead, Dia De Los Muertos, Mexican, Spanish and Film themed, Mayan Jungle, Thriller, LED and Illuminated events and Parades. 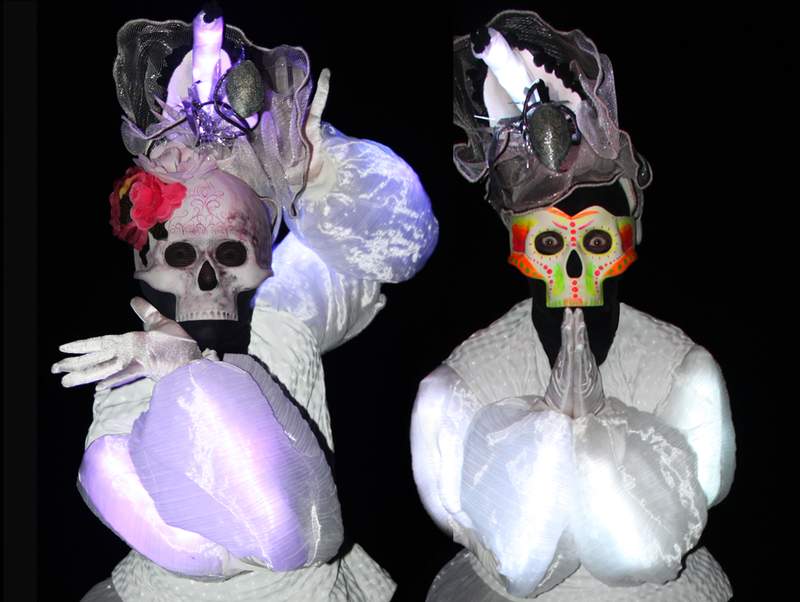 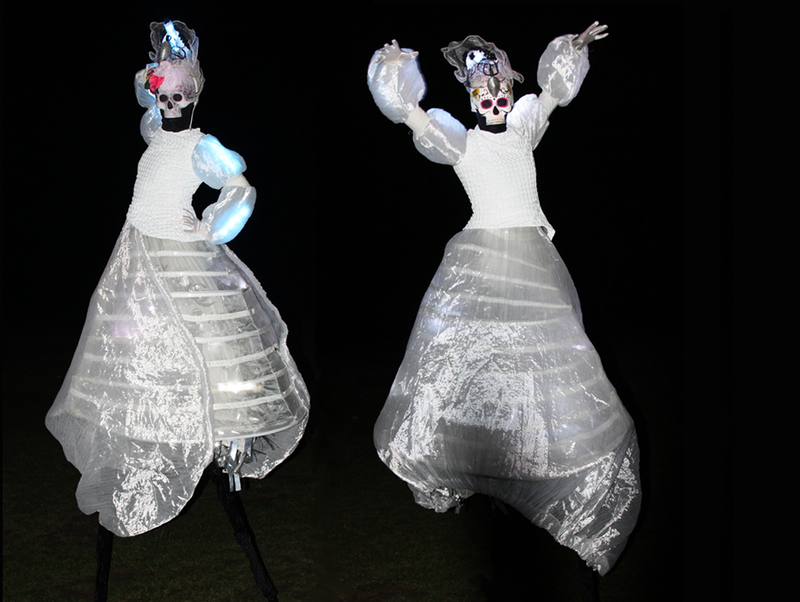 You can book 2, 3 or 4 Las Muertas Stilts for your event. 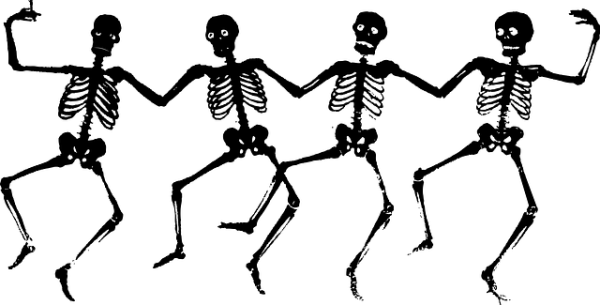 You can also choose to have different coloured tops instead of the white tops. 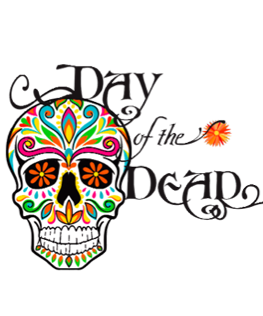 We have one tops in each of these colours: black, red, green, lilac, navy blue, orange, turquoise and yellow. 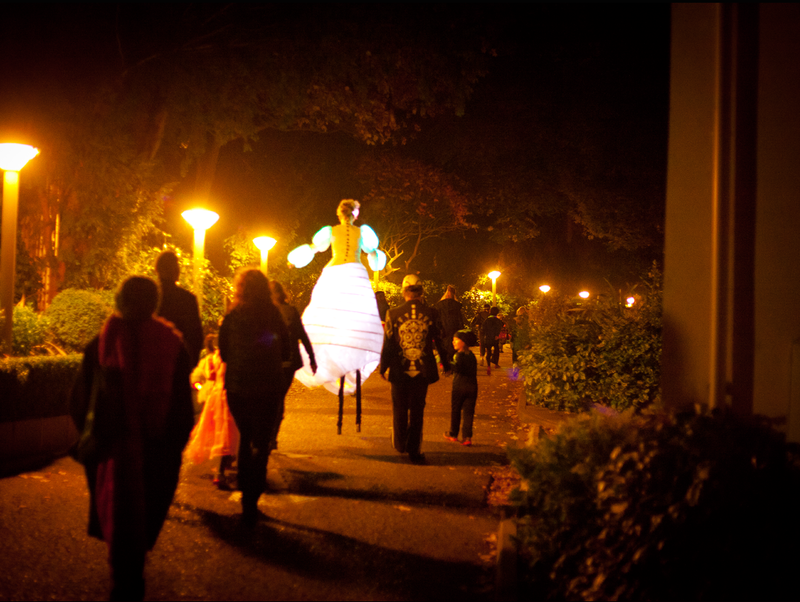 Walkabout, Meet and Greet, Stilts, Parades. 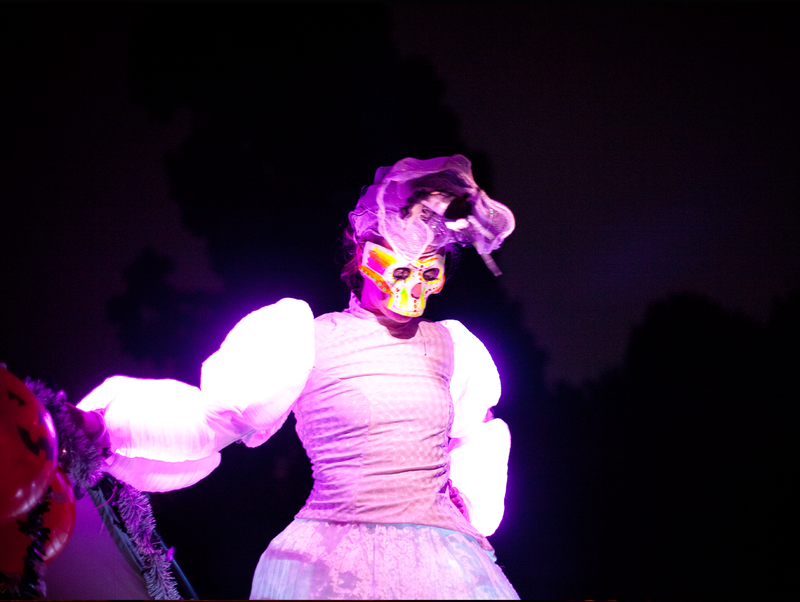 For more pictures from Las Muertas performances and behind the scene information, search for #LasMuertasStilts both on our Facebook page and on our Instagram account.